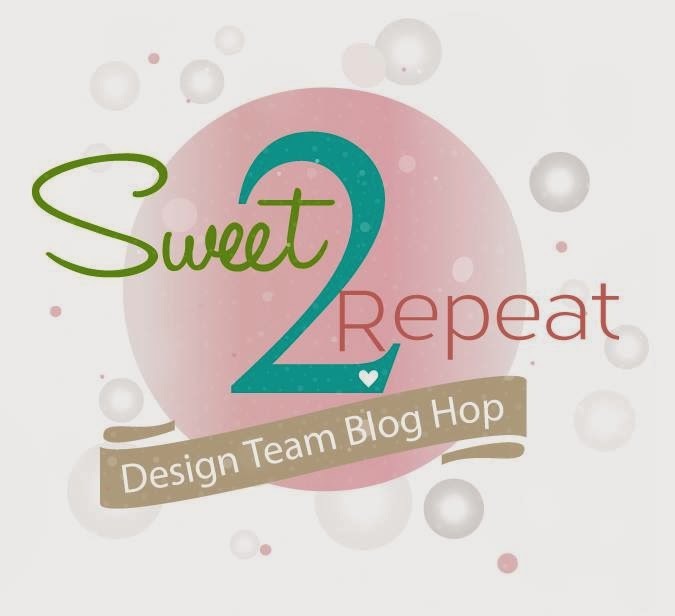 Welcome to the SugarPea Designs June Sweet 2 Repeat Blog Hop where we showcase our newest release! I have lots of SWEET and PREPPY L-O-V-E to share with you today! 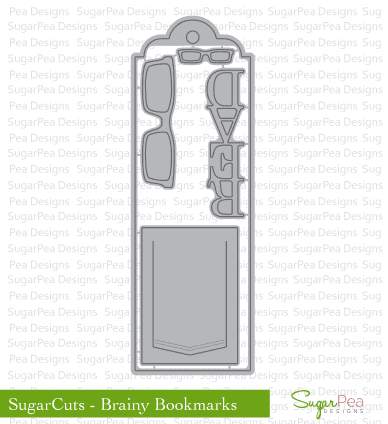 Now that you've had a chance to add these sweet sets to your SugarPea collection, we're bringing you even more inspiration! 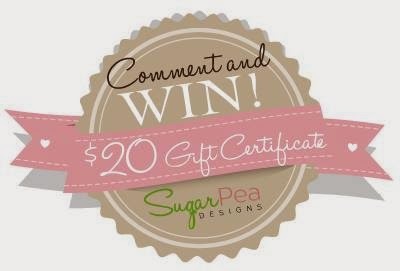 Be sure to hop along and leave a comment at each stop along the way for a chance to win $20 to spend in theSugarPea Designs Online Shoppe! 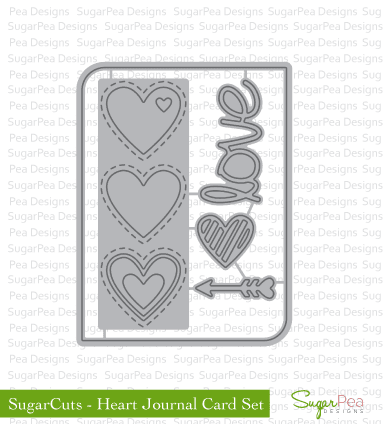 Here are the fabulous SugarPea Designs stamps and SugarCuts that I used on my card today! After cutting the SugarCuts - Brainy Bookmarks and SugarCuts - Heart Journal Card from a variety of patterned papers, I layered them together to create a whimsical panel stack for the Tee-riffic Mr. Penguin and all of his preppy-ness! I stamped the penguin golfer over a piece of card stock, colored softly with Copic markers and fussy cut him to take center stage on my card. The Tee-riffic sentiment was draped across the top of the main panel and a bit of baker's twine was added to the bookmark layer for some added interest and texture. Make sure you stop by all of the SugarChic's blogs to see what they whipped up for today's hop! So many cute sayings to go with the stamps. Love it! 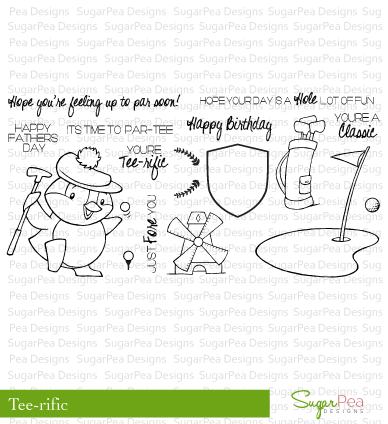 Stacey, your golf theme card is super cute! Love the unique design! Stacey, your card is smashing. Perfect to encourage anyone! Great PP combo. I truly appreciate word playing, and this stamp set is a great example. Besides, this penguin is too cool! Cheers! I really like the penguin image. Adorable little golfer Stacey! I just hop over from Vera and got to say both of you done an amazing job with this little guy! Made me want to just TEE up! haha. Have a lovely weekend! Very well put together! Love the soft colors! Cute card! I love to see how great these images work even when they're not colored in. Thanks for that. How fun. Love the patterns and colors. I really love the soft watercolour penguin. Lovely! He's just so squeezably cute! Cute--I like your choice of papers. Just so cute and awesome Stacey. Super sweet and adorable card! The layers and overall layout is fantastic! Of course I love the little penguin too! What? You colored on this one! : ) Another super cute card; the plaid is the perfect background for this little cutie. Great layout, too. Love the layering on the card. The plaid paper behind the golfer is wonderful and the golfer himself is so cute. Very cute card. Love the different layers. Great layering with the bookmark die and love the soft colours on the image. I love the bookmark die. So many ideas!! Very cute card.